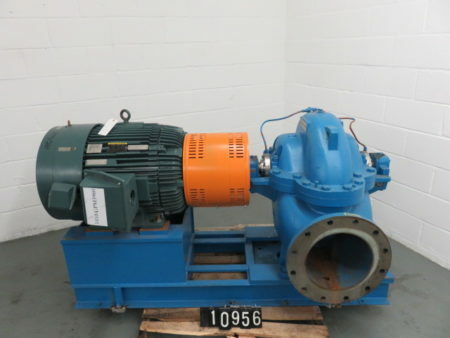 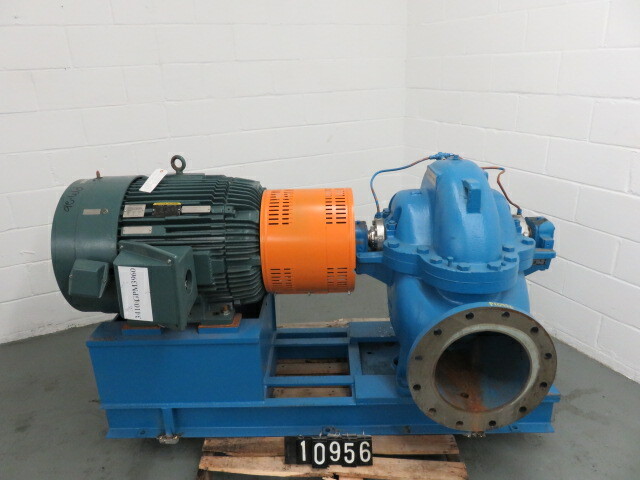 Description: Used condition Canada Pump, type split case, size 8x10x15, material.. 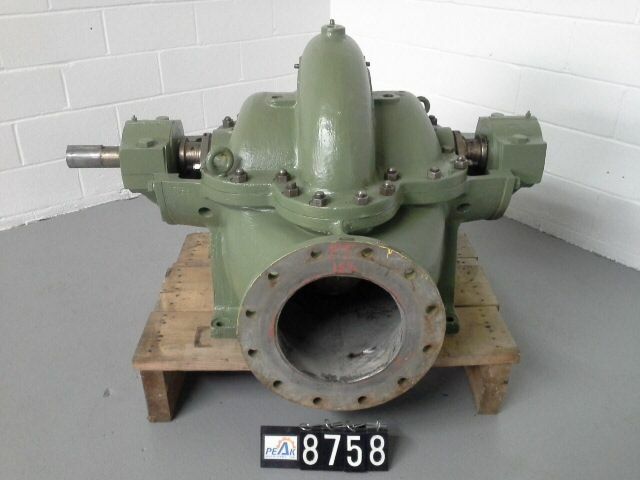 Description: CSF split horizontal split casing pump , size 10x12, material.. 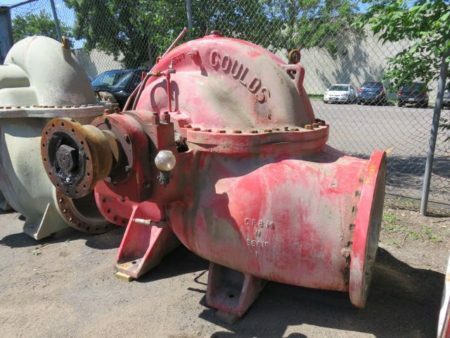 Description: Goulds 3409 equal Allis Chalmers model 9000 9100 size 6x10x22,..
Horizontally Split Casing In-line suction and discharge nozzles in lower half casing for ease of inspection/maintenance. Double Suction Impeller Assures Hydraulic Axial Balance for lower thrust bearing loads, longer pump life, and lower maintenance. Wear Rings Easily replaceable wear rings renew running clearances and protect against impeller, casing wear. Overall cost of operation is minimized. 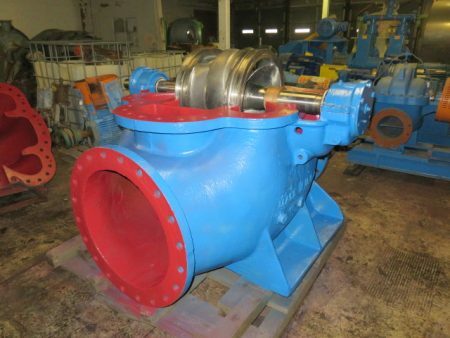 Sealing Flexibility Choice of packing or wide range of mechanical seals. 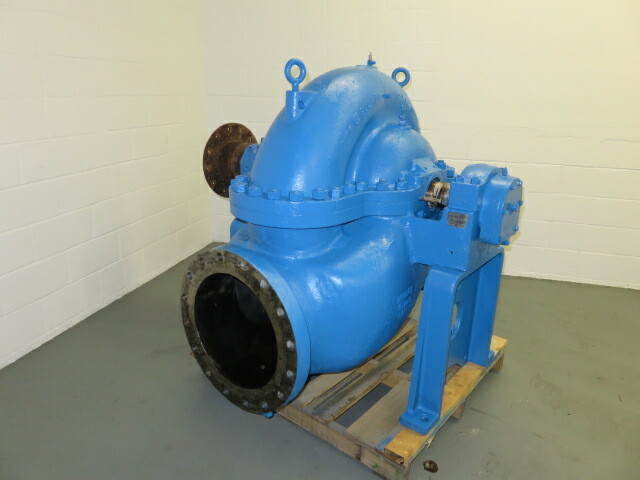 Material Flexibility Available in a wide variety of metals from cast iron to stainless steels. 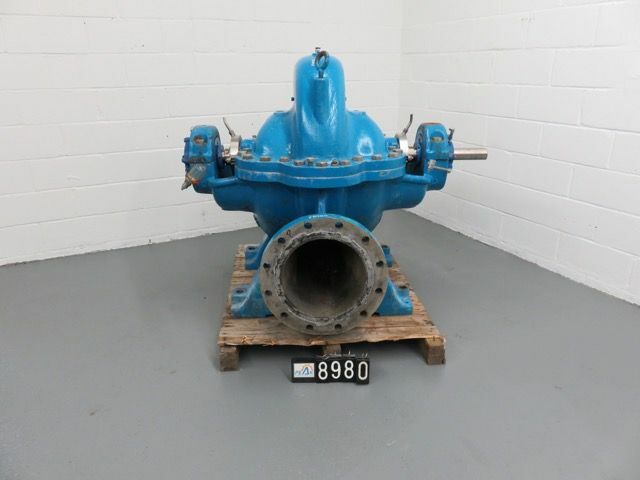 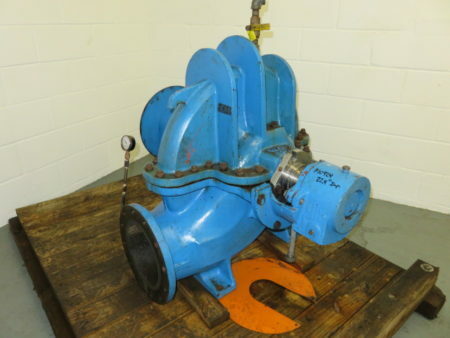 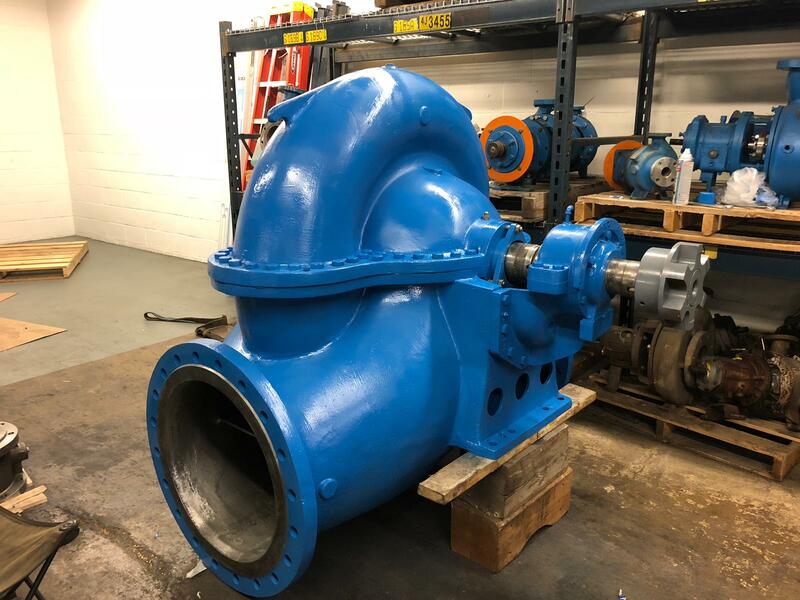 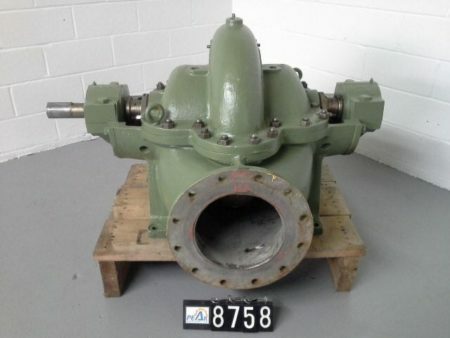 Description: New Surplus Goulds pump model 3410 size 10x12x12, material BF,.. 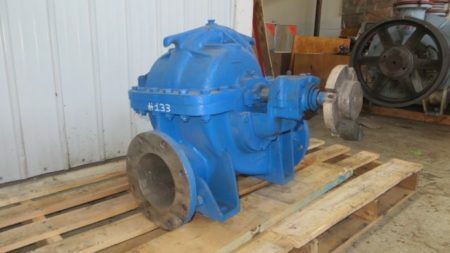 Description: Goulds split case pump model 3415 size 16x18x22H, material 316ss,..